← What can five-year-olds be expected to learn? New tests have been announced this week for 11 year olds and a new national league table for 5 year olds is being suggested by the government as the latest initiatives to raise educational standards across the board. With some differences of emphasis, the main political parties agree on education policy, embracing the model of academies with a strong focus on standards and attainment. The tests announced yesterday once again bring into focus fundamental questions about the purpose of our education system. The impulse to measure is welcome in a society that wants to take seriously the progress a child makes from one year to the next, but there is an inherent danger where this way of evaluating people is so dominant; and that is, that what we can’t explain or measure is seen as necessarily less valuable than what we can. We have to work harder to resist cynicism, we have to work harder not just to teach to the test. How do we instil confidence in our children that encourages them to be all that they can be, that takes seriously the external assessment of others such as exam boards but lets them know they don’t have to be defined by it? What would national standards look like for assessing the level of curiosity in a child, the depth of empathy for people in different circumstances or commitment to the common good? It is these young people who will be staffing our care homes, becoming ward sisters or surgeons or oil executives or police commissioners or bankers. 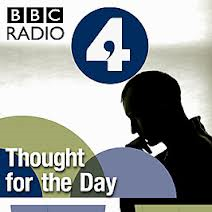 Debating what kind of education we have now will necessarily affect the agenda for the Today programme in 10 and 20 years time. And so I hope that alongside the testing and measuring of progress in the basics, we work hard to enshrine what is irreducibly mysterious about a child, while their identity is being forged in the furnace of teenage desire and fear, hope and courage. That we encourage a habitual stance towards the world that is not so much to compete as to explore; not so much to win as to admire. Jesus Christ took children seriously, indicating that in their hopes lie the just society we crave. If we want peace, we have to teach our children to talk and debate; if we want to live in a generous society we teach our young people to give; if we are hoping for a compassionate society we teach our young people to care; if we are hoping for a healthy society we teach our young people to accept their bodies and know what it is to be strenuous in sport. If we want to temper naked market forces, we have to teach our young people to lose well as well as to win well, and for this not to define who they are. The holidays are coming, the results will be out for another year and another generation of children will move up the system: I hope that some of what they learn is the original meaning of educare – to be drawn out – to be more and more themselves.